Inside-Outside, now and later, in the projekt sandwich maker, nadine kolodziey melts different layers of cut out plastic shapes to new realities. 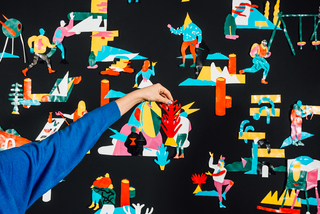 The Project contains three melted series, and a 360° chalk drawing. it was shown at saasfee Pavillion Frankfurt. An edition of 49 Badges for the daily aims of life, 5x5 cm. Over 280 plastic stories are mixed and combined to a collage of short stories. 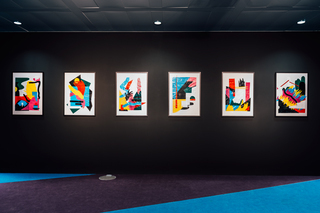 A group of six abstract Collages are illustrating the process of making the exhibition.